Catholic bishops have approved an iPhone app that walks the faithful through the confession process. The app is called "Confession", an improvement on the original name, "A Priest in Your Pocket"...read more. How many websites can the Internet support? Believe it or not, it is running out of address space as you read this...read more. Can you manage not to touch your mouse or keyboard for 2 minutes stying in front of your computer.. Well try out the donothingfor2minutes website from the guy who created the millondollarhomepage site 5 years ago...read more. Google in a sting operation has uncovered Microsofts Bing search engine to be stealing its search results. This has now grown to an open war between Google and Microsoft...read more. More than 50% of prolonged computer users experience eyestrain, headaches, blurred vision and other visual symptoms. Here is a simple 20-20-20 rule that can help keep your eyes healthy...read more. Ever got bored with the stupid windows locked screen? Now show your desktop when it is locked...read more. Planning to buy a router to make a wireless home internet network? Well you can do it without a router and save some money...read more. Tired of not having access to email, websites, youtube.. etc in office? Well now you can gain access to your favorite web sites and applications...read more. 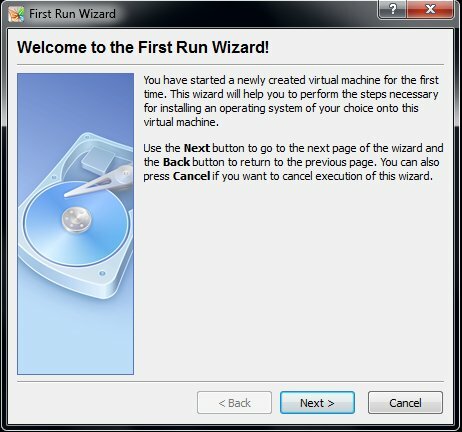 Running more than one operating systems simultaneously in a single computer...read more.